Solar Energy is an attractive energy resource mainly due to its pollution-free nature and inexhaustible supply. In a country like India where there is a shortage of electricity with frequent power cuts being a norm at some places, economic growth has been adversely affected. 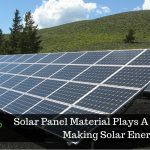 Solar energy, thus can be an answer to all the questions that has perplexed our energy generation and consumption, widening the demand and supply gap day by day. India being a tropical country receives solar radiation in abundance. Solar energy has a great potential as a future energy source. It can decentralize the distribution of energy and empower people at the grassroots. Recent developments have made the availability of solar energy systems easy for industrial and domestic purposes. Our Government also has a big role to play by making solar energy viable with tax incentives and rebates. The budget for 2017 was somewhat a disappointment for Indian renewable sector with reduced accelerated depreciation and tax benefits, it however also had certain points that could benefit the solar sector. The Budget proposed a second phase of solar park development for an additional 20 GW which would bring the installation target for solar parks to 40 GW. Close to 7,000 railway stations across the country are expected to be powered by solar energy in the next five years and 2,000 railway stations will join a 1,000 MW solar mission. To develop India into a global hub ecosystem for electronics manufacturing, a provision of Rs 7.45 billion in 2017-18 in incentive programs like Modified Special Incentive Package Scheme and Electronic Development Fund (EDF) has been provided. Solar manufacturing falling under this program will hopefully benefit. The 5 percent basic customs duty (BCD) on solar tempered glass has been removed. The countervailing duty (CVD) on parts/raw materials used in the manufacturing of solar tempered glass for use in PV cells/modules, solar power generating equipment/systems, flat plate solar collector, solar photovoltaic module and panel for water pumping and other applications, has been reduced to 6 percent from 12.5 percent. These provisions can play a conducive role in the development of Solar sector in India. While India’s solar potential is prodigious, and the support environment is also improving fast, project execution, financing, and localization are crucial. 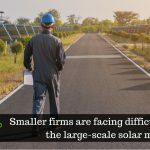 Longer term value will be achieved with efficient execution, low-cost and innovative financing, and local players dominating the downstream solar industry. 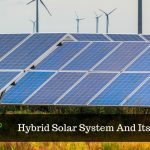 All these solar matters sound great to boost our economy, and placing a bet on it is captivating; making a fortune in solar sector, however, demands a long-term commitment and a sound understanding of local dynamics.